Yesterday the United States Supreme Court heard oral arguments in Association for Molecular Pathology v. Myriad Genetics, Inc. While the Association for Molecular Pathology (AMP) is the named party in the case, it is really a case brought and forwarded by the American Civil Liberties Union (ACLU). Myriad Genetics is the patent holder on various innovations relating to isolated DNA comprising an altered BRCA1 DNA and various methods of screening for cancer built upon various observations of the altered BRCA1 DNA. Essentially, AMP and the ACLU, along with researchers, competitors of Myriad Genetics and consumers filed a lawsuit challenging the constitutionality of a number of gene patents owned by Myriad and argued that gene patents should not be granted because patenting a gene is the same as patenting something that exists in nature. This argument succeeded at the district court, but has twice failed at the Federal Circuit. The Federal Circuit initially reversed the district court, but appeal was made to the Supreme Court by AMP/ACLU. See As Predicted, Federal Circuit Rules Isolated DNA Patentable. In the meantime the Supreme Court issued a decision in Mayo v. Prometheus and remanded this case to the Federal Circuit for further consideration in light of the Court’s decision in Mayo v. Prometheus. The Federal Circuit again sided with Myriad Genetics. See AMP v. USPTO Remand Déjà Vu. Appeal was taken to the Supreme Court, which accepted certiorari. See Supreme Court Grants Cert in Amp v. Myriad. The only issue accepted by the Supreme Court was the broadest issue: are human genes patent eligible? I have reviewed the transcript of the oral argument and I almost don’t know where to start. Despite accepting the largest question possible about the patentability of all human genes of any kind, shape or form, the Supreme Court seemed to want to focus on the claims. They also seemed in complete unanimity with respect to whether cDNA should be patent eligible. Myriad, the Solicitor General and all of the Justices that spoke seemed to be leaning toward finding that at least cDNA is patent eligible. But will that translate into a pro-patent ruling? That seems far less clear, although if cDNA is patent eligible I don’t know how the Myriad claims could be lost. That, of course supposes the Supreme Court understands patent law and the science involved. CASTANIAS: … Myriad inventors first created the cDNA, which we agree at least on that score with the Solicitor General, is indeed eligible for patenting. But then — and by the way, that cDNA was created from hundreds of different patient samples to create what was called a consensus sequence. CHIEF JUSTICE ROBERTS: Okay. You’ve got the cDNA. If cDNA is patent eligible subject matter, as it seems likely based on the tone of the oral argument, that should be very good news for Myriad. As Justice Breyer recognized during questioning of Mr. Hansen (representing AMP), the Myriad claim says they want “the isolated DNA of claim 1 wherein said DNA has the nucleotide sequence set forth in SEQ ID No. 1.” If you look at SEQ ID No. 1 clearly states that the molecule type is cDNA, thus cDNA seems to be a part of the claim, not to mention that the cDNA used by Myriad was a consensus sequence made from hundreds of different patients. Thus, if cDNA is patent eligible then the Supreme Court must find that at least some genes are patent eligible and must also find the Myriad claims patent eligible. Whether the Supreme Court Justices really captured that nuance remains in doubt. It seemed at times that Justices Sotomayor and Kagan were openly arguing the AMP/ACLU case. Sadly, at times it was apparent that the Supreme Court doesn’t understand even the most basic and fundamental patent law concepts. I spoke at a conference on patent eligibility last Friday at American University Washington College of Law. As a part of the discussion I stated what so many in the industry say in private conversations and believe. The Supreme Court is in over their head on patent cases and should leave well enough alone. The fact that the Supreme Court didn’t understand patents was the very purpose of forming the Federal Circuit in the early 1980s. Congress wanted to take patent cases away, but it was politically infeasible to strip the Supreme Court of jurisdiction, although Constitutionally possible. So a specialized Court of Appeals was created — The United States Court of Appeals for the Federal Circuit. For years thereafter the Supreme Court when they would take a case showed deference to the Federal Circuit, identifying it as a specialty, expert court. But that has changed and the Supreme Court largely ignores the Federal Circuit. More difficult to accept is the reality that they simply don’t understand patent law but make decisions that impact the national technology and innovation economy. It is hard to blame them for not knowing patent law since they only see several cases a year, but it is their own fault that they dip their toe into these difficult legal and scientific waters wholly unprepared, yet they do real mischief. JUSTICE KENNEDY: Under our — our law, is a patent ever divisible so that if it’s valid in part but invalid in another part, it can still stand as to the part? HANSEN: No, it is not permissible under patent law to do essentially a narrowing — narrowing construction of the — of the claim. JUSTICE KENNEDY: But if you haven’t challenged this, then — then where are we with respect to tagging? I don’t quite understand. Because the — the entire patent which includes tagging would fail under your argument. JUSTICE SOTOMAYOR: Then — then explain when you said you can’t narrow. You said earlier you can’t narrow. HANSEN: Yes. If a claim reaches something that is both impermissible and permissible, it — the claim is invalid, period. JUSTICE SOTOMAYOR: All right, that individual claim is invalid. JUSTICE SOTOMAYOR: But the patent with respect to claims that are not invalid would still stand. HANSEN: That is correct, Your Honor. JUSTICE KAGAN: … Do you think that the first person who isolated chromosomes could have gotten a patent on that? CASTANIAS: I think in theory that is possible, but I should say this: Because this case is about Section 101, I’m trying — I’m answering your question as though it’s about 101, patent eligibility. CASTANIAS: Would it be obvious, would it be novel? I’m not sure. Those are different — those are different analytical structures. CASTANIAS: — if it had use. If it had a new utility, then yes. JUSTICE KAGAN: I’m sorry, because — because — because, like Justice Breyer, I consider uses — patents on uses in a different category. So I’m just asking, could you patent the isolated chromosome? Additionally, at times the questions from the Supreme Court seemed nearly incoherent. Perhaps most offending was Justice Breyer. After incorrectly saying that the Supreme Court does not follow the “anything made by man under the sun” legislative history of the 1952 Patent Act, he says something nearly incomprehensible. This is not the only place in the transcript where this occurs, but this is illustrative. JUSTICE BREYER: Ah. Then — then watch what you’re doing. That’s very, very interesting, because, really, we are reducing, then, 101 to anything under the sun, and — and that, it seems to me, we’ve rejected more often than we’ve followed it. And particularly with a thing found in nature doctrine, because, of course, it doesn’t just — human kidneys and so forth. Everything is inside something else. Plants, rocks, whatever you want. And so everything will involve your vast taking something out of some other thing where it is, if only the environment. And it’s at that point that I look for some other test than just that it was found within some other thing. I don’t know how you can respond to some of this. CASTANIAS: There is no risk of a natural law or a physical phenomenon like energy or electricity, neither of which falls within the statutory categories. There is no risk of anything being preempted other than what the claims properly claim, which are human-made inventions of isolated molecules… It’s important to note that molecules have been patented for a very long time. That’s what drugs are. And drugs are often made by taking one molecule and another molecule, both of which are known, reacting them in a test tube, which is a very common thing, reactions have been around 100 years just like snipping has been, but they make something new and useful and life saving from that. CHIEF JUSTICE ROBERTS: Well, I don’t understand how this is at all like that, because there you’re obviously claiming things and getting something new. Here you’re just snipping, and you don’t have anything new, you have something that is a part of something that has existed previous to your intervention. CASTANIAS: Well, again, Mr. Chief Justice, I — I — the discussion we had earlier, the — in — in fact, the sequence that’s claimed in Claim 1 of the ‘282 patent was not created by snipping… Only once it was created can a scientist ever know how and where to make the decision to snip. You can almost sense the palpable frustration of Castanias. What part of my earlier answers about the consensus segments and the fact that the claims contain reference to cDNA is confusing to you Mr. Chief Justice? Were you not following any of the discussion we had earlier? Obviously, that couldn’t be said, but it is exactly what one would have been said to a subordinate. Chief Justice Roberts simply wasn’t understanding the science and is content to pretend that the creation of the molecule is akin to cutting paper with a pair of scissors. JUSTICE ALITO: Well, the issue here is a very difficult one. It’s one on which the Government has changed its position; isn’t that correct? GENERAL VERRILLI: Yes, Your Honor. JUSTICE ALITO: It seems that there is disagreement within the Executive Branch about it. This case has been structured in an effort to get us to decide this on the broadest possible ground, that there’s no argument, that it’s just about 101, it’s not about any other provision of the Patent Act. Why — why should we — why should we do that? We have claims that if patent eligibility is denied here it will prevent investments that are necessary for the development of new drugs or it will lead those who develop the new drugs, new diagnostic techniques, to keep those secret, not disclose them to the public. Why — why should we jump in and — and decide the broadest possible question? To the rescue came Justice Alito, to bring the matter back to something relevant. When Justice Sotomayor side-tracked Castanias he was about to explain why the chemical composition of isolated DNA is different than naturally occurring DNA, which is at the very crux of the matter before the Court, unlike the mind-numbing hypothetical relating to cookies. Frankly it almost seemed as if Justice Sotomayor was trying to run out the clock and prevent Castanias from getting to the critical points of his argument. In any event, this is the exchange between Justice Alito and Castanias, which is immediately followed by a follow-up from Justice Scalia. JUSTICE ALITO: Why is the chemical composition in the isolated DNA different? You were about to explain that. CASTANIAS: Yes, thank you, Justice Alito. It — it’s got 5,914 nucleotides. The genome itself has over 3 billion. It’s arranged in the way set forth — as set forth in the SEQ IDs number 1 and 2. Number 2 is the so-called genomic DNA, SEQ ID number 1 is the, as Justice Breyer understood, the cDNA molecule. JUSTICE SCALIA: Well, well, well, well, this is something I was going to ask you. I — I assume that it’s true that — that those abridged genes, whatever you want to call them, do exist in the body. That they do exist. You — you haven’t created a type of gene that does — does not exist in the body naturally. CASTANIAS: But we’ve — I’ll — I’ll use my own simplistic analogy which we offered in our brief and which we offered to the lower court. A baseball bat doesn’t exist until it’s isolated from a tree. But that’s still the product of human invention to decide where to begin the bat and where to end the bat. Later, in an exchange with Justice Kagan, who was questioning whether an uprooted tree from the Amazon could be patented because it was now isolated, the following exchange occurred. JUSTICE KAGAN: I don’t know what manipulation means. I mean, you have to take the plant and uproot it, all right? JUSTICE KAGAN: And carry it away and isolate it. Can you now patent the thing itself? You’ve now taken it out of the Amazon forest. Can you now patent it? JUSTICE KAGAN: Well, the plant in the forest can’t be used for any purpose either. It only has a use when it’s taken out — you know, when it’s uprooted and taken out of the forest. But it’s still the same thing. And I guess what you haven’t gotten me to understand is how this is different than that. It’s still the same thing, but now that you’ve isolated it, it in fact has lots of great uses. CASTANIAS: Well, I think there are two ways — two ways to look at that. First of all, if you want to look at it from the — the perspective of the so-called product of nature doctrine, which I think has some very dangerous consequences if it’s not cabined and understood correctly — but if you look at it strictly from a product of nature doctrine, you could say, well, that’s the same plant and it says in the 1930 legislative history of the Plant Patent Act that plants that are unmanipulated by the hand of man are not eligible for patents, and that’s fine, in terms of their breeding and genetics and that sort of thing. JUSTICE KENNEDY: Let me ask you this… if we were to accept the Government’s position that the DNA is not patentable but the cDNA is, would that give the industry sufficient protection for innovation and research? And if not, why not? And that brings me back to the utility guidelines. This line was drawn. It was drawn by an expert agency that sits at the intersection of law and science, and it has said, without any apparent — other than the declarations and amicus briefs that have been put into this case — without any apparent effect on the explosion in biotechnology and the successful, economically successful, technologically successful, and life-saving industry that is at the heart of these inventions. That has not — those — that parade of horribles has not happened. And you don’t have to hypothesize at this point because you’ve got all of these years of experience between the time these patents issued and the time that this — this challenge belatedly came along. We can’t tell whether it will hurt the industry? What about the hundreds and thousands of Biotechnology start-ups that rely on investor capital in order to spend those 8, 10, 12 years working before they have any chance of profitability? How many will see investment without priority rights in the form of patents to protect the fruits of their research and development? Castanias’ point about the patenting of genes showing no rationale evidence of harming research and development was a good one, but he buried it and walked in backwards. 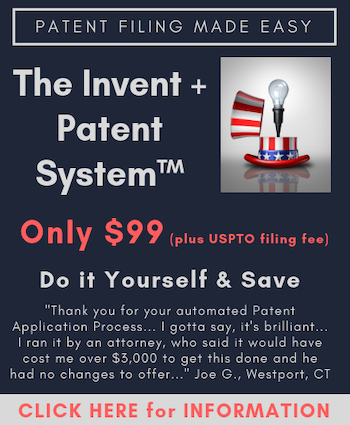 He did repeatedly make the point that tens of thousands of these patents have issued over the past 30+ years and the USPTO 12 years ago set forth the examination guidelines for these types of inventions after consulting with both industry and skeptics. This was a good point. It would have been a better point to tie the two together and point out that where the Government and the challenger to the patents wants to upset the longstanding, reasonable expectations of rights in a property regime they should bear a very heavy burden. Further, if they are claiming harm to research and innovation they should face a similarly heavy burden to prove that. Given the enormous and growing success of the U.S. biotechnology sector reality simply betrays the argument against patenting genes. What will the Supreme Court do? I have no clue. I suspect cDNA will be patent eligible, so the Supreme Court will say that at least some human genes are patent eligible. I suspect they will not finally decide the case, will remand to the Federal Circuit and the Federal Circuit will find the Myriad claims patent eligible. We will then likely be back to the Supreme Court for another round. Of course, given the apparent unfamiliarity with even basic patent law principles and failure to comprehend the science and willingness to take evidence on the science never before entered into the district court record but filed in amicus briefs, who knows what they will do? I’ve got a bad feeling about this one. I’ve got a bad feeling about where America is heading with this kind of discourse. One thing that Castanias could have done, but from my reading of the transcript didn’t do, is explain how the “isolated” DNA sequence is functionally different from what that sequence is when part of the native DNA. (It’s pretty clear why the cDNA is functionally different.) I know that argument exists as Myriad in its documents has said the “isolated” DNA acts differently from the native DNA it’s taken from. That’s how you get past the “difference in kind rather than degree” rationale that’s at the heart of the “product of nature” doctrine: if it’s a “difference in kind,” then it’s more than what “nature” provides. I have no idea where this is going, but it could be very bad indeed. But what do you expect when you let a decision like this rest in the hands of the 9 least qualified people. They are unqualified to make any pronouncements based on science and as their questions demonstrate (and previous decisions) they know absolutely nothing about patent law! Breyer kept asking “what should I read to inform me?” Is he really that stupid? If the record isn’t complete on the science and there are questions still to be answered the district court decision has to be reversed! This happened on Summary Judgment. Have they forgotten basic procedural law as well? Yes, this seemed much ado about “whatever” in the mind (term used loosely) of Justice Breyer. His questions were incoherent and the fact that he wants to rely on an amicus brief as evidence suggests he has completely lost it. The Supremes may well throw the baby out with the bath water here. I fear the industry will have to go to Congress for a remedy after this decision. I agree with you. The cookies hypothetical seemed ridiculous in particular. I know I criticized Castanias above toward the end. I went back and forth over whether to do that or not. I did it a little, but not sure I’m even comfortable with the level of criticism. I feel for him. When you read the transcript you can almost see what he is thinking as he stutters and stammers to waste time answering questions about basics of patent law. He makes a point, the Justice seems to get it, and then a moment later asks a question that demonstrates they didn’t understand a thing he said. This has to be frustrating, and no doubt contributed to him being pushed off his game. Where is Seth Waxman when you need him?!?!?!?! While there are many capable appellate attorneys, if you are a patentee and you don’t hire Seth Waxman at the Supreme Court you are not only doing yourself wrong but you are doing a real disservice to the entire industry. I agree. Reading the transcript was quite scary in many ways and I don’t think Castanias was very influential. I do like his one remark on how ironically medicine is moving closer to nature after having previously moved away. I would add to that and say that all of industry is taking that same approach. More and more chemicals and other materials are being biosourced, and to risk having that patentabiltiy removed, or at the very least, clouding the waters on what is patent eligible matter is what really scares me. I feel for Castanias as well. When you’re representing the patentee at SCOTUS, you’re already fightig an uphill battle. As I’ve mentioned before, in the past 60 years, only 5 patents (or patent applications) have been held valid by SCOTUS, all affirmance’s of the appellate court decision, none reversing an invalidity ruling by the appellate court; that’s a very telling and sad statistic as to how SCOTUS views patents in general. And yes, we need more like Seth Waxman who understand the psyche of SCOTUS and can formulate arguments that will resonate with them. Again, using demonstrative (e.g., models) evidence in the briefs and even in oral argument of the technology involved with SCOTUS can’t hurt, and may help them to “visualize” what’s important and different. Oops, my apologies for misspelling the name (Guinness) of my favorite malt beverage! Reading the oral arguments transcript in Myriad reminds of the poor state of science education in the United States, even decades ago when the members of the Supreme Court were in high school. If the members of the Supreme Court had grown up in China, Japan, Singapore, Germany, or Finland, I can’t imagine that there would be the degree of scientific ignorance exhibited by the Supreme Court justices. Let’s assume that the compound acetylsalicylic acid was found in nature in willow bark but the compound salicylic acid was not found in nature. Now assume someone invented a way to “isolate” salicylic acid from acetylsalicylic acid by removing the acetyl group from salicylic acid. It would seem to me that few people would have a problem recognizing that the compound salicylic acid would be patentable based on this fact scenario. But what if acetylsalicylic acid was found not in willow bark but only in the human body. How should this change in facts change the outcome? From my reading of the cases and patent law, I don’t see how the fact that a new chemical compound, salicylic acid, was derived from a chemical found in humans rather than from a chemical compound found in willow bark should make the new chemical compound patent ineligible. Now let’s switch to DNA. Although for simplicity of discussion, DNA is usually treated as a single molecule, i.e., a single chemical compound, in fact there are really an almost infinite number of DNA compounds. Chemically speaking, DNAs having different sequences are different chemical compounds and DNA strands having different sequences are different chemical compounds. Therefore, if I remove one or more sequences from a naturally-occurring DNA to form a new DNA strand, i.e., to isolate a DNA strand that is not found in nature, the “isolated” DNA strand would be a new man-made chemical compound. So why should this isolated DNA strand be treated differently than my hypothetical new compound, salicylic acid which was “isolated” from acetylsalicylic acid found in a human body? You can’t talk “techie” to a technically ignorant person. They simply do not decode your words into the cognitions you want them to have. Consider the currently popular TV show, Big Bang Theory. Think of Penny as being a Supreme Court Justice. Think of Sheldon as a PhD chemist trying to explain a nontrivial organic chemistry concept to Penny. Except in this version of the show Penny has zero respect for Sheldon’s PhD degree and Penny demands extreme respect for her “position” as being a justice on the bench and as being owed in 30 seconds an education that takes most mortals many years to acquire. That’s the “reality” of the TV show universe we now live in. With regard to your question, “We can’t tell whether it will hurt the industry?”. Look at it this way….if you are 3/4 the way up the mountain, who can say or not that that person will finish 1st to the top? Your logic is flawed, “Reading the oral arguments transcript in Myriad reminds of the poor state of science education in the United States”. Well…. since the plaintiffs in this case represented are scientists in molecular biology and are regarded as the best of the best. If anyone understands the science of DNA and isolating DNA, AMP should be the most able to judge what is or is not a product of nature. Do not pretend that this is just ACLU’s doing, it is not. While you are at it, do not forget your own weaknesses as non-experts in science when you pound your chest claiming superiority over others in patent law. It all boils down to how different people view the Universe. 2) Scientists “merely” bring their genetic “scissors” to the leaves of the tree and go snip, snip, snip –simple as that. Yes, it certainly highlights the abysmal state of science education in America. Coming to dawn with how obvious or not ‘snipping’ is depends on how much ‘hands on’ experience you have working in the field of molecular research. Finding loci to a skilled scientist is to him or her an accustomed practice much alike to picking apples from a tree. (I know it looks hard, but with time you can fish anything in the vast sea called the “genome”) One does not even need to locate the promoter region to target the gene. The map laid out by the Human Genome Project has the data where you can select any 18-mer sequence upstream and thus synthesize a primer (in court language ‘probe’) and target the gene in that fashion. Let me ask you, how many genes have been patented in the last 12 years? In that logic, science education has amplified! Also, Biostatisticians were never the types to invent as you would come to believe, would it? I mean correlating data wasn’t ever the thing that would have made the inventor, right? But in the current climate, that’s exactly what is happening now. First, you assume that the patent attorneys here are not experts in the science. There are patent attorneys here who are experts in the science. Second, AMP (and you) are wrong on the science, as are the amicus briefs that argue that isolated DNA exists in nature. It is axiomatic that isolated DNA does not exist in nature. Third, virtually everyone, except for AMP, believes cDNA should be patent eligible. cDNA is very different, and the Myriad claims are built on the foundation of a consensus cDNA, thus the Myriad claims have to be patent eligible. Fourth, you and others ignore the reality that the chemical composition in the isolated DNA different from that which exists in nature. Fifth, without human intervention there could be no isolation of the DNA, thus it is patent eligible. I could go on and on about what you and the others ignore. I know you will never agree because you are ideologically driven and have already determined that the scientists who want to steal Myriads work are correct and the Myriad scientists who spend many years and over $1 billion innovating did nothing more than pull out a pair of scissors and start snipping. Really… if it is that easy why did it cost so much money to do? I think you need to get a grip and go back to the basics and relearn the science. With all due respect if it really cost $1 billion then why do you make the case for gene patent as a support to start up companies? Large companies do spend enormously on R&D but that is for everything altogether and cloning is a minor percent of that. You hit the name on the head, not on the ideological, but on the case whether DNA has a different chemical composition outside its natural state. I’m sure you will forever disagree with me even if I were to convince you that the failed analogy of salicylic acid to DNA. No one in the discussion above is arguing that the subject matter of the Myriad claims is or are is obvious. The problematic issue is whether or not the claimed subject matter should be patent eligible. A DNA strand that has been isolated from a longer strand of DNA by “snipping” out the isolated strand from the longer strand by breaking covalent bonds is a different molecule than the longer strand. The isolated strand molecule does not exist in nature and has been made due to the action of humans. For virtually any other type of molecule, other than DNA, it would be well recognized: that if (1) in a lab a human being ran a reaction that “isolated” a smaller moleculed from a larger molecule by breaking a covalent bond that separated the smaller molecule from the larger molecule and (2) the smaller molecule did not exist in nature except as part of the larger molecule, that the smaller molecule would be considered a man-made or synthetic molecule. Why should a DNA strand be treated differently from any other type of molecule? DNA is an inert chemical with a negative charge that’s it. It is the information encoded by its nature that is valuable. The discussion of obviousness is off discussion because conclusions for law purposes will not derive future precedent. That is why the focus on the plaintiff side rests with 101. With respect to Lui’s comments, I don’t even understand what Lui is arguing. I think everyone on this blog understands that the information that is encoded in DNA is what makes it valuable for many purposes. But that is not the issue. We are talking about what qualifies as patent eligible subject matter under 35 USC 101. Historically, man-made molecules have been considered to be patent eligible subject matter. Whether a molecule is an obvious variant of an existing molecule and therefore not patentable under 35 USC 103 is an entirely different question. I think Liu is playing the “obvious to try” gambit. In other words, take any old DNA strand (your Aunt Em’s strand for example) and start snipping at every protein encoding terminus (if that’s the correct terminology, sorry I’m not bio-chem) and then claim every segment that you snipped off that ole’ oak tree (where-after you tie a yellow ribbon on that one and forget about its pedigree). What Liu probably does not realize is that he not the first one to think of that gambit. It’s been tried and failed –for lack of utility. Oh yeah. Because 101 requires a taught and not insignificant utility. Your comment about obviousness demonstrates that you know absolutely nothing about what you are commenting on and really need to become informed. You have have conclusively proven that you are a neophyte and can’t be taken seriously. These are very good primers on patent law. Patent eligibility is a single inquiry. Obviousness is an entirely different inquiry. There is no place at all for discussion of obviousness in a 101 patent eligibility inquiry. The fact that you don’t know that speaks volumes. Further, let’s be perfectly clear — obviousness is about what would be considered obvious (i.e., a trivial, non-innovation) as of the date of invention. Not as of the date of patent application. Not as of the date of publication of an application. Not as of the date of the patent issuing. Not as of the date many years later when the patent is litigated. Again, inform yourself before commenting on complicated topics. “…obviousness is about what would be considered obvious… as of the date of invention” So is there still merit in documenting inventions and in particular, their dates? Now that we are first to file, most people believe it to be unnecessary since it is now a race to the patent office. But I can imagine scenarios in rapidly evolving fields where an invention is made and yet it become obvious by the time the application is prepared. Do you mean the same “derivation” proceedings that took as their backbone the very same decrepit systems we wanted no part of?